B. 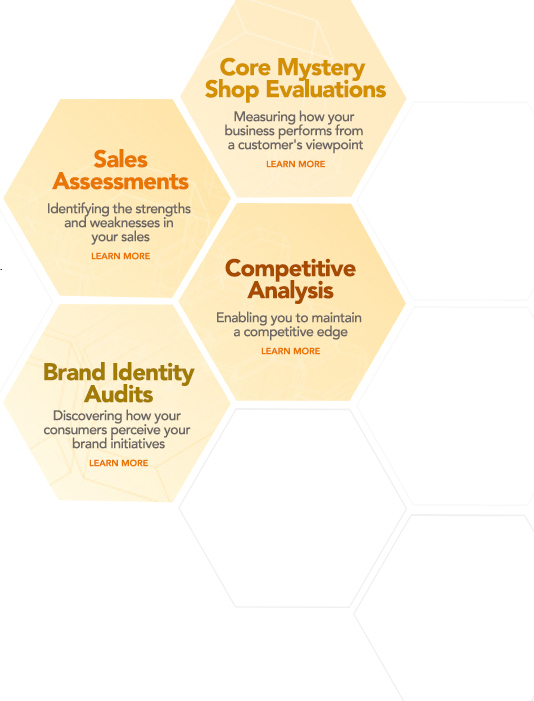 Business Solutions provides mystery shopping expertise nationwide to organizations desiring to improve their customer service and sales. We make it possible for you to unlock the customer experience by determining how customers view your business. Our mission is to help your business thrive by truly understanding your customers and creating amazing customer experiences. Unlike conventional “Mystery Shopping” companies, B. Business Solutions provides a full spectrum of services. Every business is a unique entity with its own distinct methods and personality. B. Business Solutions recognizes this fact and tailors programs to meet your individual business requirements. Our services range in scale from quick one-time assessments to ongoing customer monitoring programs. Using an array of our services will benefit your overall organization by providing specific knowledge about your customers, employees, brand identity, and operations.